1. Golikov, V.Yu., Balonov, M.I., Ponomarev, A.V. Estimation of external gamma radiation doses to the population after the Chernobyl accident. In: Merwin, S.E., Balonov, M.I. (Eds. ), Chernobyl Papers, Doses to the Soviet Population and Early Health Effects Studies, Vol. 1. Research Enterprises, Richland, 1993. P. 247–288. 2. Mück, K. [et al.]. A consistent radionuclide vector after the Chernobyl accident. Health Phys., 2002, Vol. 82, P. 141–156. 3. Bailiff, I.K. [et al.]. Comparison of retrospective luminescence dosimetry with computational modelling in two highly contaminated settlements downwind of the Chernobyl NPP. Health Phys., 2004, Vol. 86, P. 25–41. 4. Ramzaev, V. [et al.]. Gamma-dose rates from terrestrial and Chernobyl radionuclides inside and outside settlements in the Bryansk Region, Russia in 1996–2003. J. Environ. Radioact., 2006, Vol. 85, No. 2–3, P. 205–227. 5. Punt, A. [et al.] Measurement and Assessment of External Radiation Dose Rates to People on Houseboats and using Riverbanks – using the Ribble Estuary as a Case Study. Science Report: SC060080/SR. Environment Agency, Bristol and London, 2011. – 84 P.
7. Radiacionnyj monitoring doz obluchenija naselenija territorij, podvergshihsja radioaktivnomu zagrjazneniju vsledstvie avarii na Chernobyl’skoj AES. Metodicheskie rekomendacii: utv. 27.12.07, vved. v dejstvie s 27.12.07 [Radiation monitoring of the exposure doses of population at the territories radioactively contaminated due to the accident at the Chernobyl NPP. Recommended Practice. Adopted 27.12.2007, implemented 27.12.2007], Federal Center of Hygiene and Epidemiology of Federal Service for Surveillance on Consumer Rights Protection and Human Well-Being, Moscow, 2007. – 70 P. Available at: http://meganorm.ru/ Data2/1/4293835/4293835611.pdf. (accessed 09.03.2015). 8. Grigorev, A.I., Pankratov, L.V. Problemy vichitania fona pri individualnom dosimetricheskom kontrole [Problems of subtraction of the background in the process of the individual radiation control and radiating control on open air]. Radiacionnaja gigiena – Radiation Hygiene, 2011, Vol. 4, No. 4, P. 42–48. 9. Barkovskiy, A.N. [et al.]. Dosy vneshnego obluchenia ziteley g. Novozybkova Bryanskoy oblasti v 1995 g. [Doses of external exposure fot the citisens of the Novozybkov town, the Bryansk region, in 1995]. Materialy Vserossiiskoy nauchno-practicheskoy Conferencii “Chernobyl: 10 let spustia. Itogi I perspektivy” Chast 1. – Bryansk, 1996. – P. 47–48. 10. Schimmack, W., Steindl, H., Bunzl, K., 1998. Variability of water content and of depth profiles of global fallout 137Cs in grassland soils and the resulting external gamma-dose rates. Radiat. Environ. Biophys., 1998, Vol. 37, P. 27–33. 11. Golikov, V. [et al.] Gamma ray exposure due to sources in the contaminated forest. In: I. Linkov and W.R. Schell (Eds. ), Contaminated Forests – Recent Developments in Risk Identification and Future Perspective. Proceedings of the NATO Advanced Research Workshop on Contaminated Forests, Kiev, Ukraine 27-30 June 1998. – Dordrecht: Kluwer Academic Publishers, 1999. – P. 333–341. 12. Sakamoto, R. [et al.]. Relationships between dose rates measured 1m above ground level and the 137Cs depth distribution in the Chernobyl grounds. Proceedings of the 10th International Congress of the International Radiation Protection Association, Hiroshima, 14–19 May, 2000. Available at: http://www.irpa.net/irpa10/cdrom/00656.pdf. (accessed 10.01.2015). 13. Romanovich, I.K. [et al.]. Avaria na AES “Fukusima-1”: organizacia profilakticheskih meropriatiy, napravlennyh na sohranenie zdorovia naselenia Rossiyskoy Federacii [The accident at the “Fukushima-1” NPP: prophylactic countermeasures for health safety of the population of the Russian Federation]. Saint-Petersburg, Federal Scientific Organization «Saint-Petersburg Research Institute of Radiation Hygiene after professor P.V. Ramzaev», 2012.– 336 P.
14. Golikov, V., Balonov, M.I., Jacob, P. External exposure of the population living in areas of Russia contaminated due to the Chernobyl accident. Radiat. Environ. Biophys., 2002, Vol. 41, No. 3, P. 185–193. 15. Spektrometry-dozimetry gamma i rentgenovskogo izluchenija MKS-SK1 «SKIF». Opisanie tipa [MKS-SK1 «SKIF» x-ray and gamma radiation spectrometer-dosimeters. Description of the type] Available at: http://www.kip-guide.ru/info/19630- 00. (accessed 29.01.2015). 17. dose equivalent and absorbed dose in air in the case of large-scale contamination of the environment by radioactive cesium]. Radiacionnaja gigiena – Radiation Hygiene, 2015, Vol. 8, No. 3, P. 6–20. 18. Ramzaev, V. [et al.]. Radiological investigations at the “Taiga” nuclear explosion site, part II: man-made g-ray emitting radionuclides in the ground and the resultant kerma rate in air. J. Environ. Radioact., 2012, Vol. 109, P. 1–12. 19. Tyler, A.N., Sanderson, D.C.W., Scott, E.M. Estimating and accounting for 137Cs source burial through in-situ gamma spectrometry in salt marsh environments. J. Environ. Radioact., 1996, Vol. 33, P. 195–212. 20. Tyler, A.N. Monitoring anthropogenic radioactivity in salt marsh environments through in situ gamma-ray spectrometry. J. Environ. Radioact., 1999, Vol. 45, P. 235–252. 20. Saito, K., Jacob, P. Gamma ray fields in the air due to sources in the ground. Radiat. Prot. Dosimetry, 1995, Vol. 58, P. 29–45. 21. Centr sovremennyh psihotehnologij. 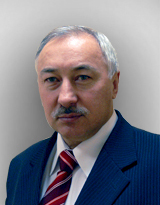 Skripty matematicheskih raschetov [Center of modern pshychotechnologies. Codes for the Automatic Calculations]. Available at: http://psytechcenter. ru/lib/scriptstat/. (accessed 22.02.2015). 22. Laedermann, J.-P., Byrde, F., Murith, C. In-situ gamma-ray spectrometry: the influence of topography on the accuracy of activity determination. J. Environ. Radioact., 1998, Vol. 38, P. 1–16. 23. Gering, F., Kiefer, P., Fesenko, S., Voigt, G. In situ gamma-ray spectrometry in forests: determination of kerma rate in air from 137Cs. J. Environ. Radioact., 2002, Vol. 61, P. 75–89. 24. Roed, J. [et al.]. Triple digging –– a simple method for restoration of radioactively contaminated urban soil areas. J. Environ. Radioact., 1999, Vol. 45, P. 173–183. 25. Helfer, I. K., Miller, K.M. Calibration factors for Ge detectors used for field spectrometry. Health Phys., 1988, Vol. 55, P. 15–29. 26. Ramzaev, V. [et al.]. Radiocesium fallout in the grasslands on Sakhalin, Kunashir and Shikotan Islands due to Fukushima accident: the radioactive contamination of soil and plants in 2011. J. Environ. Radioact., 2013, Vol. 118, P. 128–142. Рамзаев В.П., Голиков В.Ю. Сравнение расчетных и измеренных значений мощности кермы в воздухе над почвой, загрязненной 137Cs. Радиационная гигиена. 2015;8(4):42-51.